In the history of software development, no one has ever managed to churn out large-scale commercial software that is 100% devoid of any shortcomings or bugs. Unfortunately, there's no silver bullet to make bug-free software. But, we can definitely reduce the shortcomings or bugs to a great extent with some helpful bug tracking techniques. Although there are dozens of approaches to weed out bugs and every individual or business organization has their own unique ways to tackle this problem, but more or less the principles are almost the same. The techniques discussed can be applied to any development environment and can be used as a custom solution or can be implemented via specialized bug tracking software. Remember, successful bug-tracking comes with experience and it's a continuous process that is extended to different release cycles during the entire lifetime of the software. So let's get started and see some of these handy techniques that can help you develop more stable and reliable software that not only handle exceptional conditions gracefully but are also less prone to infection from malicious software. The first step to developing better software is to strive for finding the best possible solution for completing each task. This automatically reduces the number of bugs that may creep in inadvertently. Whenever you start a new module or task within the software, always document all the available options and evaluate each one of them to find the best one in terms of efficiency, speed, and correctness. This way you're going to reduce invisible shortcomings preemptively. Large numbers of bugs introduced in software are directly related to improper data structure management that results in memory leakage during run-time. Carefully design your data structures and use a specialized memory allocation software or library to avoid such kind of shortcoming. Almost all good development environments have inbuilt memory allocation tracking support and you must use them liberally during the development phase. During the entire software development life cycle, there are several known issues that are resolved with the passage of time. You must keep details of all these issues in a database. This not only helps in tracking these issues but also creates a history log of the same. You must include affected data structures, routines and progress dates with each known issue record. Always archive resolved issues to prevent any kind of confusion. I've always stressed on the need of including exception handling sections, wherever required. This greatly helps in making the software stable as well as in uncovering potential bugs and shortcomings. Exception handling routines must be designed very carefully to avoid unnecessary resource consumption that may slow down the performance of your software. You must also ensure that you're not just catching the generic exception, but going for specific exceptional conditions to tear down the suspended or blocked state in a better way. Software devoid of audit trails and logging mechanism is like a sleeping time bomb. You never know when it will explode without giving any warning signs. 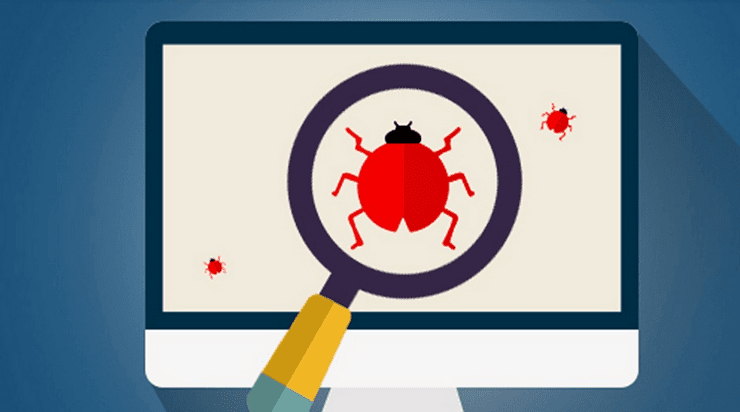 Implementing automated audit trails and log files in your software is one of the best methods to track and find out hidden bugs that can't be traced easily. Careful examination of log files can unearth several kinds of bugs and shortcomings. You can either create a custom solution for logging or can use standard APIs and libraries to implement a robust logging mechanism. Segregate and divide each software module to ease the bug tracking process. Vigorously test each section and module in an isolated and simulated environment to unearth and identify potential bugs. You can also use specialized bug tracking software to get things done in a professional way. Remember, each module that exhibits signs of a potential bug must be removed from the source tree till the issue is completely resolved. This isolation and division of modules also help in reducing the number of bugs that can be unearthed at once. This doesn't overwhelm you with large numbers of bugs at one time and you can easily track and resolve module-specific bugs in a better and controlled way.